As much as my inner dork (which I hate talking about because it’s really not any different from any other type of fandom it’s just been given a pedestal it doesn’t deserve by marketers) wants so badly to part with my hard-earned money to see The Hulk smash things while Iron Man flies around and Cap throws his shield and Thor throws his hammer and Hawkeye shoots arrows and we pretend it’s not ridiculous that he’s a part of this group and ditto for Black Widow, I have a moral conundrum. Marvel’s poor treatment of Jack Kirby and his family’s estate in light of all he did for the “House of Ideas” is well documented. Really, the only reason Marvel gets as much of a pass as it does is because they’re not as awful as DC Comics has been to Siegel and Shuster and their respective estates. Stan Lee gets all the credit because he made a sweet deal with them and was a good talker. Kirby, on the other hand, was always a bit of a quiet guy. Raised in the inner-city with a hard-nosed work ethic, he shied away from attention and praise. It cost him dearly. Because even though he was probably more responsible for shaping Marvel and superhero comics as a whole than any other creator, Kirby’s name doesn’t appear on anything. It won’t be anywhere in the credits for “The Avengers.” And that bothers me. 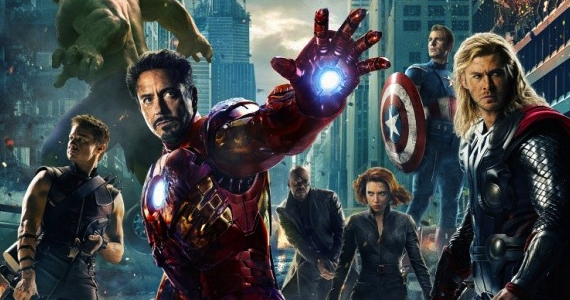 So here’s the challenge: make a donation to the Hero Initiative matching the cost of your ticket to “The Avengers”. Or, Hell, double it! While Marvel, Stan Lee, and the others rake in all the money with fake heroic exploits, you can make a real one. While actors play pretend at saving lives, you will be doing the real thing. Sigh. Still bothered by the Kirby thing. Will just sit this one out.